When I speak with Etsy Sellers, I find that many of them tend to focus most of their attention on 1 aspect of their Etsy Shop. It's either a hyper-focus on redoing their keywords, making more products, or worrying about Views & Stats. Based on my experience selling on Etsy, I personally believe it is not good to focus on just one aspect on your Etsy Shop too much. Instead, you want to evenly divide your time between all the tasks that are needed to build a good Etsy Shop. When getting your Etsy Shop off the ground and built up to your first 200 Sales, there are 5 main things you want to equally spread your time on with Etsy each day, with each area using an equal 20% of your daily efforts. If you are neglecting any of these 5 areas, or spending too much time on just one, then you are going to see slow growth in Etsy, and you'll be likely wasting your time. Do you have more products than you have sales? If you have 100 Items in your Etsy Shop, but only 20 Sales - slow down! You are not spending enough time keywords, listing descriptions, quality product design, and analyzing your Stats. Do you have more than 50 items, but no sales? Spend more time on keywords before making new products. Make sure your listing descriptions are clear and helpful. Make sure your Shop Policies are concise and not to strict. No one wants to buy from a strict Etsy Shop that won't offer refunds if something goes wrong. Are people even viewing your Items or favoriting them? Make sure your Etsy products are beautiful, inspiring and high quality. Even if your Etsy Listings show up in keyword searches, if your photos and designs are not beautiful, people will not bother to click on them and view your items more closely. As you work to get your first 200 Sales on Etsy, keep track of your work, set out daily to do lists, and get in the habit of spending your time wisely. How Should I Set Up My Etsy Shop Sections & Categories? What is the best way to organize my Etsy Listings? Should it be by color or by style? Or what if you have the same product in multiple colors? The most important way to figure out how to organize your Sections is by reviewing your Sales. Whenever someone buys 2 or more items together in the same bundle, that tells you that the items likely go together. So your Shop sections could be set up in several ways, such as color, or style, or something else. What I recommend is review all of your recent sales for the last 30 days and see what patterns you find. What we have found for our own Etsy Shop is that it tends to be a certain combination of both Color & Style. Write down every time someone makes an order of 2 or more items, and see how those items are similar to each other. Then, set up your Sections based on that data. The final step is to place the bestselling Sections at the Top of your List. Depending on the season and on trends, you will find that your Sections may end up changing every 2-4 weeks. So this is an ongoing process that you should keep up on continually. For instance, sometimes our "Mint & Coral" section does extremely well and sells hundreds of items. But right now, it hardly sells at all because we're in Fall. Other colors like Navy, Gold and Beige are somewhat popular year round, but they do change fairly frequently. But the most important way to sort your Sections is always by Sales, and how much money you're making, and by trying to encourage customers to order multiple items at the same time. The easier a customer can find things they like that go together, the more likely they will spend more money. Think of it like someone going to a restaurant. Fast food restaurants make a lot more money when you order Fries & Soda along with a Burger. If you order just the Burger, they make a lot less money. But when you add on items that go along with the main entree, and you pair them together in an easy way, then customers are more likely to make a larger purchase. 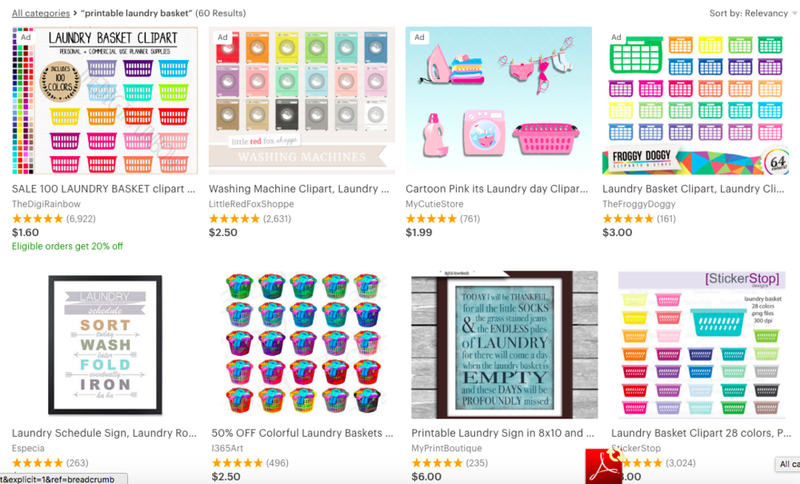 Should I Sell Physical Items & Digital Items In The Same Etsy Shop? Have you found a good way to incorporate printed art listings in with your printable listings? 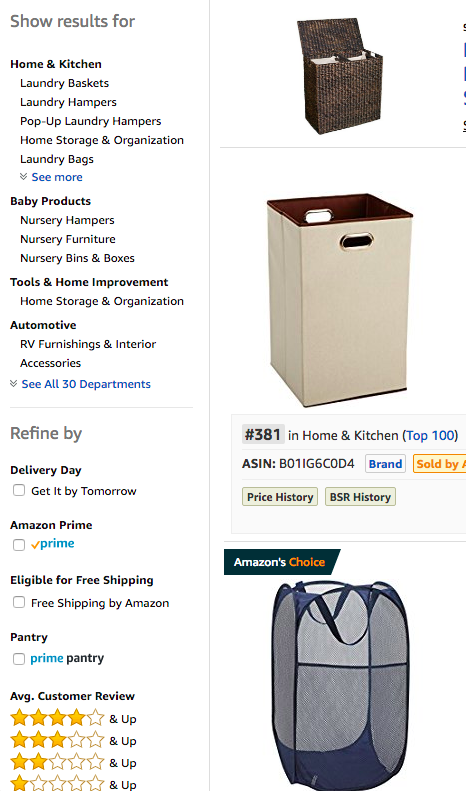 Is it better to have an add-on, separate listings, custom request or a different store all together? I'd like to be able to offer both options but don't want to confuse customers or make it hard to purchase. I have seen Etsy Shops do it both ways. I've tested this out numerous times on Melinda Wood Designs, and most of the time, you are selling to 2 totally different customer profiles. Printable Art customers want affordable, DIY options. And Physical Art customers want to pay extra so that they don't have to do anything except wait for the item in the mail. Physical Art customers also want to have access to higher quality materials instead of figure out how to print something on their own. My suggestion is to test it out on your Etsy Shop both ways. I have seen some successful Etsy Shops sell a very even mixture of Physical & Printable items all mixed together. Personally, I find mixing the two very confusing unless you make it really obvious from your Photos that this is a "Physical Print" and other items are "Digital Prints." For our own shop, mixing in Physical Prints has not worked out that well. Instead, we have a "Print & Ship Service" listing which has been the most effective. Physical Prints only account for about 5% of our sales, so it's not a huge opportunity for us right now. The main thing I recommend is to test out both options, and record your results, the move towards the option that seems to make the most money for you. Every Etsy Shop is different and will have their own results after the test this out. Also, having a single "Print & Ship" option as a Section/Category or as a "Featured Item" is going to be the fastest and easiest way to get this up on your shop, instead of creating a bunch of new individual listings. At the very least, this can help you get started by just having one "Print & Ship" option. Also, to answer your question about having a 2nd Etsy Shop, I always advise Etsy Sellers to avoid having a 2nd Shop until they are really happy with how much income they are getting out of their first Etsy Shop. If you feel like you have made a ton of money on Etsy and understand everything that goes into running a successful Etsy Shop, with thousands of Sales, then I think it's okay to think about 2 Etsy Shops at that point. But until then, I highly recommend that you focus mastering your skills on a single Etsy Shop first. Otherwise, it's going to be too difficult to figure out everything, and then apply what you have learned to multiple Etsy Shops. Most likely, that's going to be a huge time waster, and only set you back. I think that only once your Etsy shop hits 5,000 Sales would it be an okay time to start thinking about a 2nd Etsy Shop if you really, really want to do it. Should I Renew My Etsy Listings Or Let Them Expire? I made a big mistake early on when we started to get success on Etsy. Within 12 months of selling on Etsy, we were making $7,000 in revenue per month selling mostly printable artwork. And we had roughly 300 Listings at the time. My thought was that if I just kept making more items, that we would bring in more revenue. So if I made 600 Listings, then maybe I could make $14,000 per month, and so on. But as I continued to create more and more Listings on Etsy, I would also continue to renew all the expired listings that no one bought within 4 months. Etsy forces Listings that do not sell within 4 months to expire. The thing is that if not a single person wants to buy a certain item you make within 4 months, it likely means no one wants to buy it at all. That might not always be the case, but I would say somewhere around 80% of the time, it is best to allow old listings to expire if no one purchases that item within 4 months. When you allow items that do not sell to Expire, you can then spend time making brand new items that people actually want to buy. You'll build a reputation for making quality, relevant items, and stay high in Etsy Search results. Because the more and item sells, the more likely it will stay high in search results. This is one of the biggest mistakes we made early on, is not allowing bad items to expire. Today, we're having to rebrand and take the shop in a new direction and build items that people want to buy in December 2017 and January 2018.